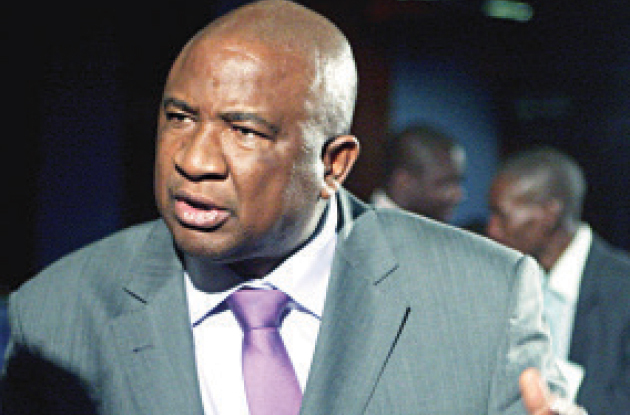 ZIFA president Phillip Chiyangwa will soon leave the association, two years before the constitutional end of his term amid revelations that the ambitious Harare property mogul is angling for a regional or continental football post. Chiyangwa let the cat out of the bag when he spoke off the cuff on Thursday as he prepared to present his speech for the official opening of the Premier Soccer League organised Sports Writers workshop that was being held at a Harare hotel. Also in attendance was the league chairman Peter Dube as well as the chief executive officer Kennedy Ndebele. “Very soon I will be bidding Zifa goodbye, to go up,” said Chiyangwa much to the amusement of the gathered scribes and facilitators. Chronicle Sport later contacted the flamboyant businessman for him to clarify what he meant and where exactly he was going. He refused to be specific but reiterated his earlier remarks. “I am going up, anything but up there,” said Chiyangwa who however just laughed when asked if he was angling for the Cosafa presidency whose elections are due next year. Sitting Cosafa president Suketu Patel from Seychelles has not indicated whether he will seek another term at the top of the regional football body. The Cosafa president is also the first vice president of Caf. Chiyangwa was recently elected the secretary general of the Anglo Saxon group during his visit to Nigeria when Fifa president Gianni Infantino visited Africa’s most populous nation. Liberian Football Association president Musa Bility chairs the group. In his official address Chiyangwa said it was undeniable that the popularity that football enjoys today was a direct result of the tireless efforts by the media. “Football and the media are inextricably intertwined, hence it is undeniable that the popularity that the beautiful game enjoys today is a direct result of tireless efforts of members of the Fourth Estate. I am reliably informed that the major objective of this workshop is to broaden the understanding of the management and administration of football in Zimbabwe. Football and sport journalism have evolved and undergone a revolution,” said Chiyangwa. He said the workshop, which ended yesterday, sought to enlighten participants on pertinent issues with regards to latest trends in football management, coaching, media operations, management of competitions, crowd management, fair play code, laws of the game, role of the media in football development, integrity in sport and club licensing.